Welcome to Racz’s Towing Service! 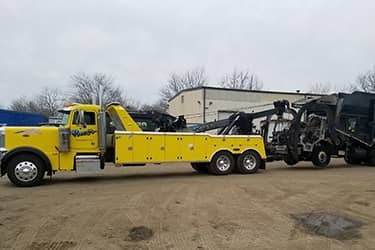 When you’re broken down and in need of towing, be sure to call Racz’s Towing Service, Our fully insured wreckers are available 24 hours a day, 7 days a week, for emergency towing and roadside services. We take pride in our customer service. We provide long-distance and local towing services for Keasbey, New Jersey, we also go to NY, PA, CT, DE, MD, MA. You can expect us to reach you quickly, as all trucks are radio dispatched and have cell phones. All towing is guaranteed to be damage free and we offer outdoor auto storage as well as recovery services. Call for our wreckers when you’re in distress and need towing or roadside services. We’re here to help! Racz’s Towing Service, is committed to maintaining a highly ethical and sound business practice in order to meet our customer’s needs.